Connect your BGAN terminal to any smart device using Standard IP to access the internet for applications such as web browsing and email, or choose from a range of guaranteed Streaming IP rates to meet all your data, voice and video needs anywhere in the world. BGAN is available across the globe, with the exception of the extreme polar regions, providing connectivity wherever your business or operations take you. 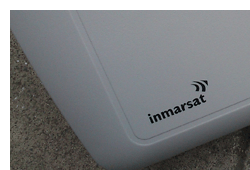 BGAN services are delivered via the Inmarsat-4 network, with 99.9 per cent satellite and ground network availability and an operational lifespan expected into the 2020s. Secure BGAN meets military and government requirements for security and supports all major VPN products and encryption standards. 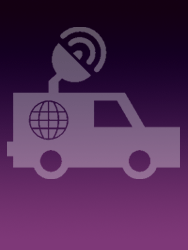 Most vehicular terminals comprise a roof-mountable antenna and in-car unit. Antennas are compact, relatively lightweight and discreet, so as not to draw attention. 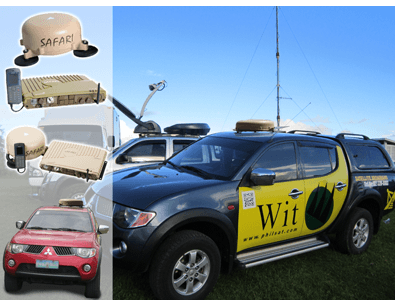 The vehicular antenna can be permanently or magnetically mounted to the roof of any suitable vehicle, be it a truck, bus or recreational vehicle (RV). •	Supports Google Mapping through coordinate sharing, allowing users, employers, friends and family to visually track the phone location.